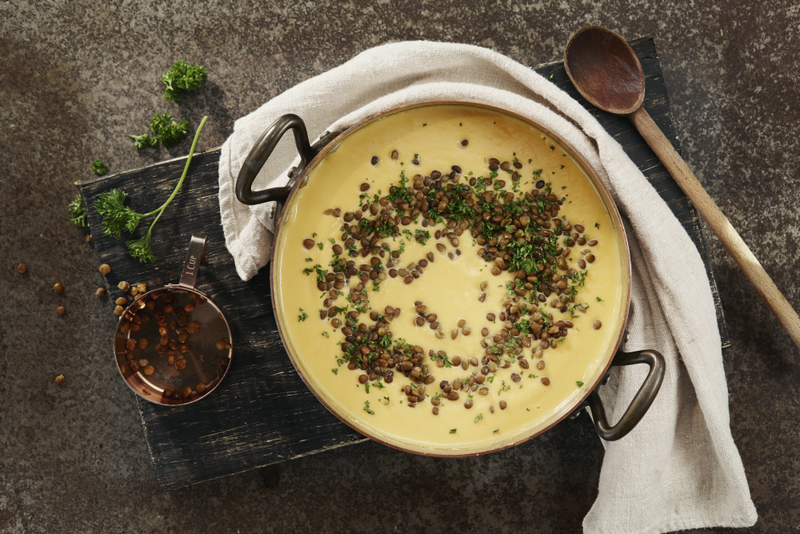 Award-winning PEI chef shares his recipe for the fastest and tastiest soup. Photo by Natrel Lactose FreeOne of PEI’s foremost culinary talents and homegrown chefs is Kyle Panton. He takes a down to earth approach to preparing dishes with the abundance of natural ingredients Prince Edward Island has to offer. Chef Panton loves transforming simple ingredients into dishes everyone can enjoy. This simple soup is packed full of nutrients and is quick to make. Perfect for those days you get home from work late or need an easy potluck recipe. Pour the soup back into the pot and bring to a simmer. Add the parsley and lentils, season with salt and pepper, and serve. Born and raised in Belfast, PEI, Chef Panton has been recognized locally and internationally for his ability to create award-winning dishes using fresh locally-sourced products. 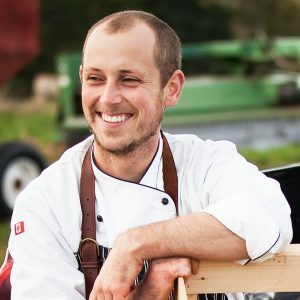 In 2012 he was named the PEI Savor local food winner, an award that celebrates and identifies the Island’s food culture. In 2013 he won the prestigious International Seafood Chowder Competition, part of the PEI Shellfish Festival. In 2014 he captured PEI’s Most Loved Burger, part of the PEI Burger love Campaign. Chef Panton is currently the head Chef at Sims Corner Steakhouse & Oyster Bar in Charlottetown, PEI.